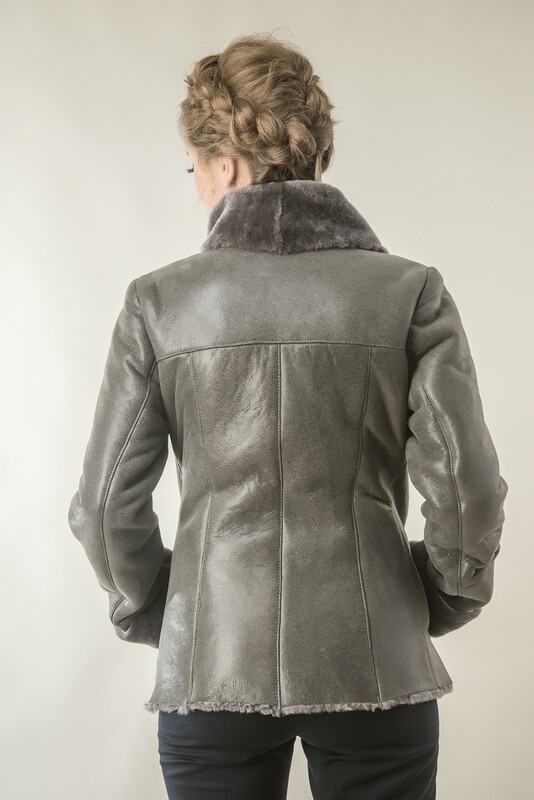 Merino lambskin jacket designed for women, from the A&A collection. A coat that has perfect resistance to moisture and dirt due to the lamb nappa leather exterior, creating comfort with the sheared lamb merino interior, trimmed at the thickness of 8 mm. 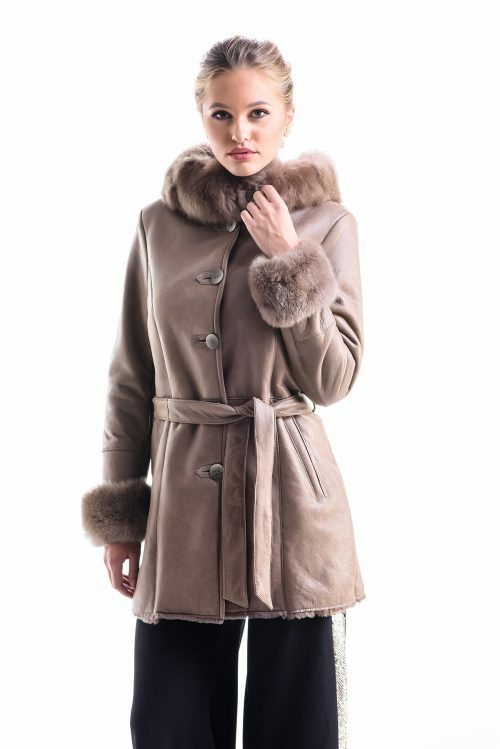 This jacket is the perfect geometrical construction, and nice details of collar and cuffs with sheared lamb merino fur.A simple closing system, a button carefully placed at the base of the collar, it provides sufficient protection against the cold. The fur coat is available in the following colors: gray, brown, black and gray.